Follow the White Bunny: SALE! I'm having a little Sale this weekend, it's the last one of the year! 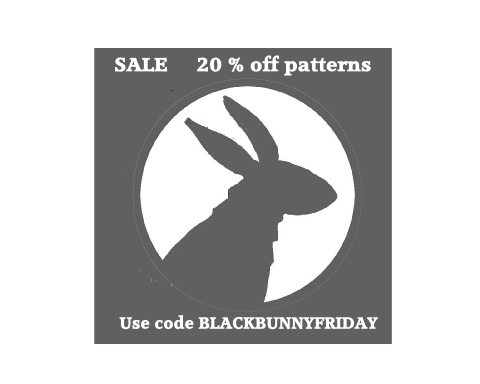 Use code BLACKBUNNYFRIDAY and receive 20% off all my patterns available in the shop (alas this does not include the Tweet Pillow pattern) Visit my Follow the White Bunny Shop (where you can download my patterns immediately after purchase, woohoo!) or my Etsy shop. Sale starts...now and ends November 27th 12.00 AM.